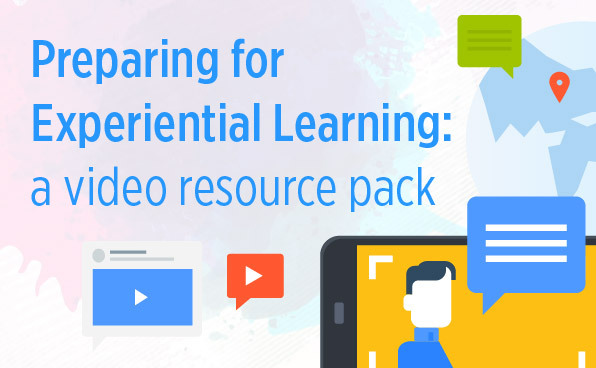 Emerging educational innovations and methods, such as MOOCs, SPOCs, OERs, Flipped/Blended Learning, Gamification, AI, VR, AR, and Analytics, are radically transforming learning and teaching in higher education. This talk addresses how we can strategically promote and enable Technology-Enhanced Learning at institution, department, and individual levels. It also reviews and examines some exemplary efforts and practices that help guide us towards inventing the “next-generation” higher education. Finally, with the participants, the session explores how we can create an ecosystem that enables us to build necessary support capacity for more personalized, flexible, and on-demand lifelong learning. Toru Iiyoshi is Deputy Vice President for Education, and Director and a professor at the Center for the Promotion of Excellence in Higher Education of Kyoto University. He also serves as Executive Director of KyotoUx. Previously, he was a senior scholar and Director of the Knowledge Media Laboratory at the Carnegie Foundation for the Advancement of Teaching, and Senior Strategist in the Office of Educational Innovation and Technology at Massachusetts Institute of Technology. 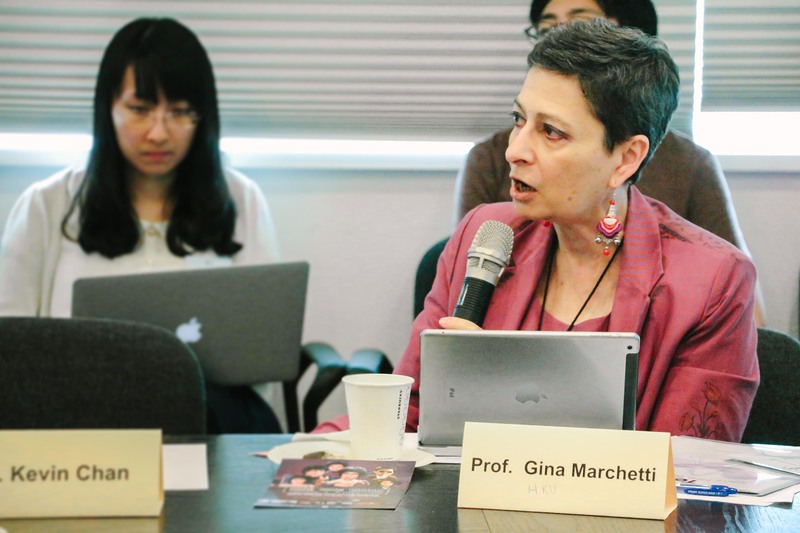 Dr. Iiyoshi has served as a member of the World Economic Forum’s Global Agenda Council on Technology and Education as well as a visiting professor of the Graduate School of Interdisciplinary Information Studies at the University of Tokyo. He is a co-editor of the Carnegie Foundation book, Opening Up Education: The Collective Advancement of Education through Open Technology, Open Content, and Open Knowledge (MIT Press). 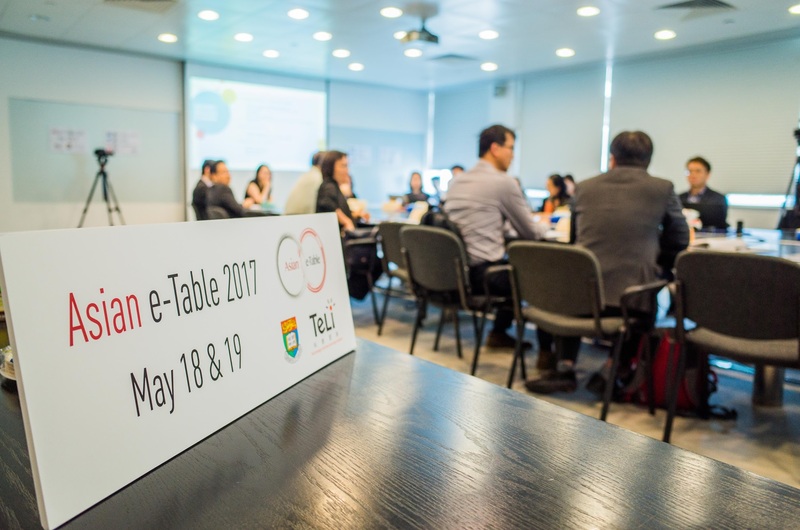 On May 18-19 2017, the third annual Asian e-Table was held. We welcomed back our e-learning advocates/partners from nine universities 1 in Asia to reflect on and strive for enhancing and improving e-learning’s impact across the region. This year, we continue our exploration of collaboration opportunities, with the idea that “deeper collaboration reflects genuine friendship”. 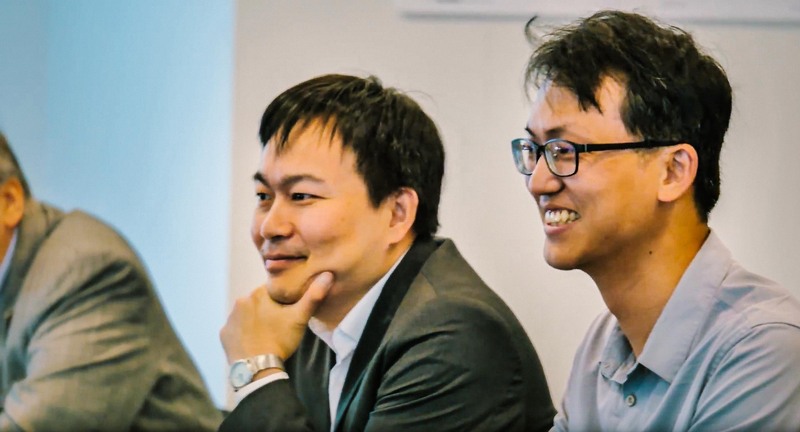 We welcomed two new members from National Taiwan University, Prof Huang and Dr. Kung, who are associate directors of the Center for Teaching and Learning Development. 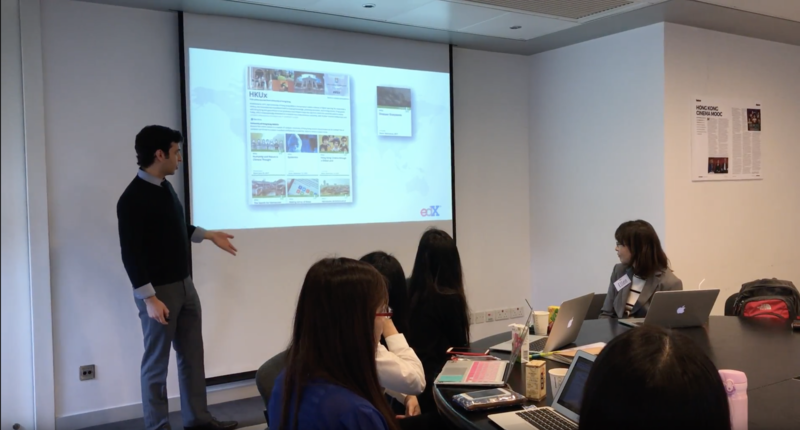 Other participants in attendance included edX Partner Manager Mr. Henry Kesner, and other local colleagues from HKU, HKUST, CUHK and PolyU. Reviewing our goals in Asian e-Table 2016, the co-creation of MOOCs amongst member institutions has kicked off, with collaborations between HKU and Peking University, Yonsei University. A central repository for content sharing has also been in shape. 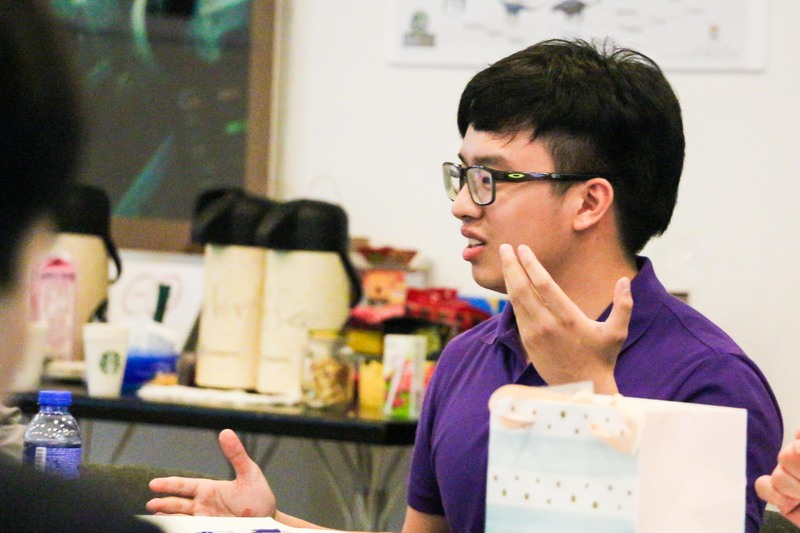 A student representative from Faculty of Education, Mr. Derek Wong, also attended a session to offer the student perspective on e-learning and digital literacies. While digitally “native”, students’ digital literacies in the classroom vary. Communication between teachers and students will help bridge the gaps and allow both parties to utilize technology effective in teaching and learning. Besides roundtable discussions, some short presentations provided more insights for members. 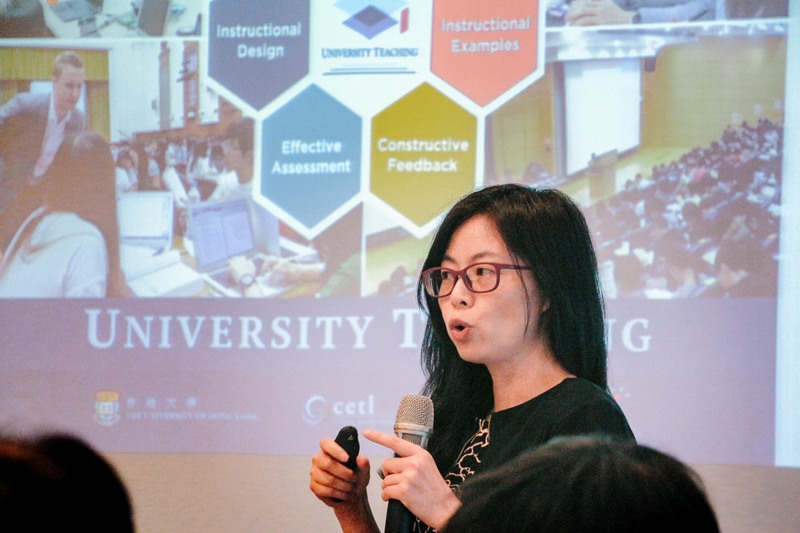 The course instructors of two HKU MOOCs – “University Teaching” by Dr. Lily Zeng and Dr. Tracy Zou (CETL, HKU), and “Hong Kong Cinema Through A Global Lens” by Prof Gina Marchetti (Faculty of Arts, HKU), shared their experiences and challenges in the MOOC making process. Mr. Henry Kesner, Partners Manager at edX also gave an introduction of micromasters. Technology has no borders, so is education. 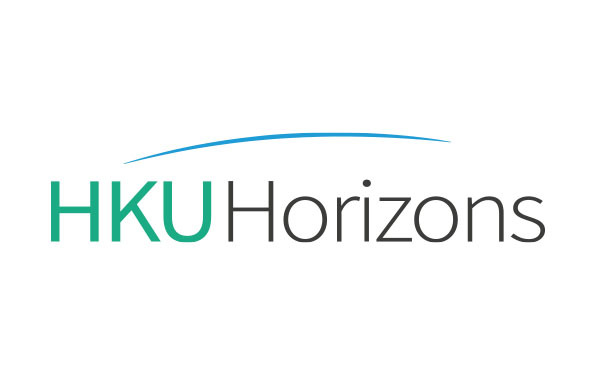 Contact us if you are interested in developing online education in Asia with us. 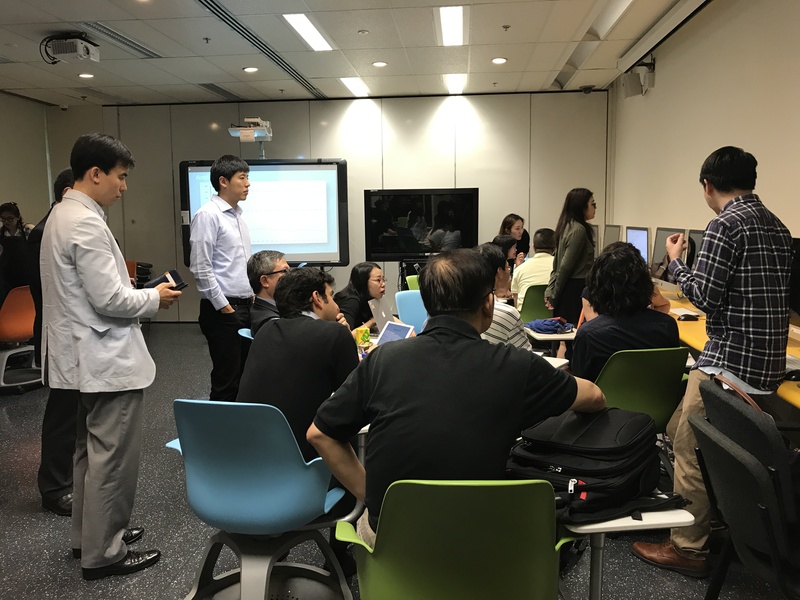 On May 12-13, 2016, representatives from nine institutions gathered at the second Asian e-Table to explore collaboration opportunities and challenges in developing online learning in Asia. At the event, we also skyped in Anant Agarwal, the CEO of edX, during our roundtable discussions. This year we welcomed a new member from Yonsei University, Professor Joon HEO, Director of Open & Smart Education Center. The HKU team also had the pleasure to share our recent experience in developing an online course from a grassroot level in the BOLT project. Asian e-Table is an annual conference on e-learning initiated by HKU in 2015. We endeavour to gather experts in the region “to build a platform, a foundation, to something that can be sustainable and vibrant in the years ahead,” as pointed out by Professor Ian Holliday. 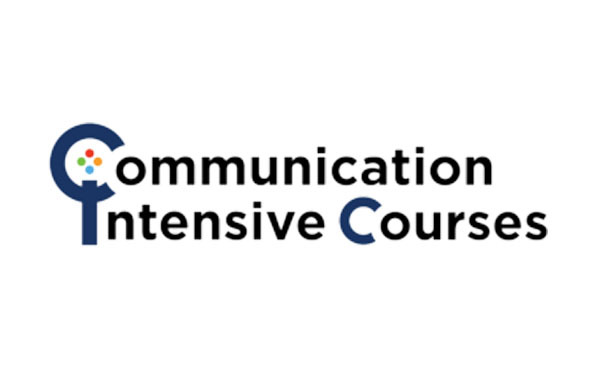 The ultimate goal is to facilitate knowledge exchange and build a community of practice. Click here for a more detailed report on the event. More photos of the event can be found on our Facebook, twitter and instagram. Developing a learning game is not just about making the teaching materials an easier pill to swallow, but is also an attempt to create a resource so engaging that students will beg for more. In our Game Design Meetings, we figured that there are at least eight things to consider in gamification. Developing a learning game is different from preparing serious powerpoint presentations. While both aim at facilitating learning, the element of FUN is of particular importance in games. To produce a game which is both fun and educational, it is of ultimate importance to figure out how to transform learning contents into gaming elements. Equally important is a good understanding of the type of game you intend to make, e.g., card game, collaborative multiplayer game, detective game, etc. The best way to familiarize yourself with a particular game mechanism is to try playing some related games. It is important to have people with different expertise in your team to pool ideas and create a game for a diverse audience. Our Game Design Team comprises of instructional designers, multimedia experts, research associates, designers and programme developers. While it is natural to include professional gamers in the development team, it is also crucial to invite laymen to join. Sometimes an uninformed opinion can be valuable in shaping the game. Existing games are successful for a reason. Try them out and learn from them. For example, if you want to develop a strategic board game, recommended games include Kingdom Builder, Settlers of Catan, Carcassonne, Tickets to Ride, etc…. When drawing inspirations from other games, be aware of copyright issues. Consult your local copyright office if necessary. Take note of all crazy ideas in your discussions, whether they are related to the main theme, scoring mechanism, functions of a particular card, anything. A seemingly useless or silly idea may eventually become an important element of the final product. Keeping a log book of ideas also makes it easier to create ‘trailers’ and draft official documents such as game specifications in the future. Once you have developed a prototype, try playing it. Does it work? Is it playable? Does it facilitate learning? Invite your colleagues and friends to try it out. Test the game repeatedly to see if every player has a fair chance to win. Unfair games may demotivate learners. Developing an original educational game is challenging but fun. 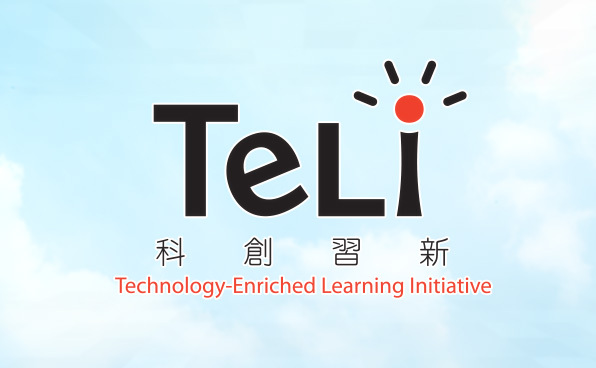 Contact us if you are interested in developing a learning game for your students at HKU. Have fun! 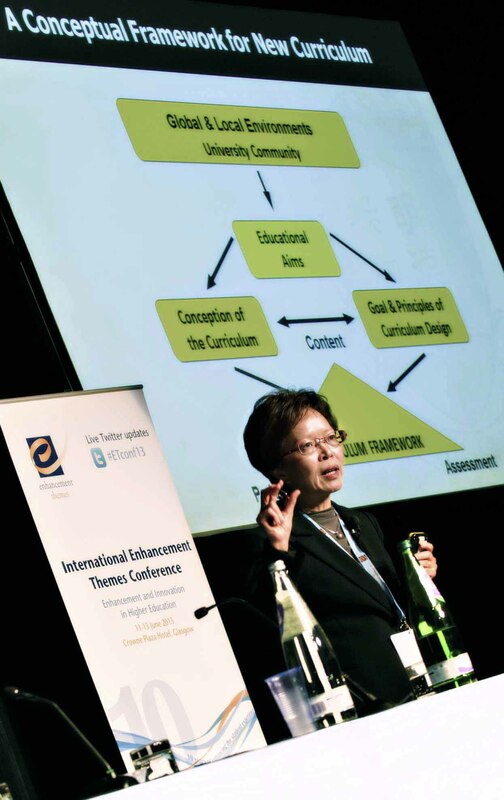 Professor Amy Tsui, Pro-Vice-Chancellor and Vice-President (Teaching & Learning), made a keynote presentation entitled “Re-imagining Undergraduate Education” at the “International Conference on Enhancement and Innovation in Higher Education: 10 years of Enhancing the Student Experience” organized by the Quality Assurance Agency (QAA) Scotland on June 11, 2013. In her presentation, Professor Tsui outlined the journey of undergraduate education reform at HKU, what has been achieved and what challenges lie ahead. She also spoke on the centrality of learning from real life situations to develop students’ knowledge, skills and values to bring about change for a better world. 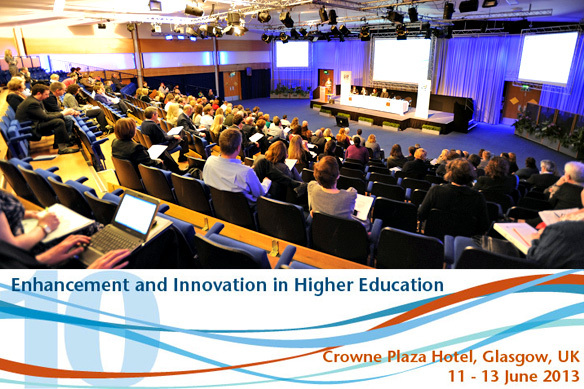 The conference brought together over 500 delegates from 25 different countries, and was structured around a number of areas relating to enhancement and innovation in higher education, such as curriculum innovation, internationalisation of the curriculum, impact of national policy on quality enhancement, teaching postgraduate students and supporting enhancement through quality processes. Keynote presentations and a selection of the conference materials are available on this website. Twelve leading universities in the US and Europe have recently joined Coursera, an online delivery platform which provides free courses from prestigious institutions such as Stanford, UC Berkeley and Caltech. The growth in massive open online courses encourages teachers to rethink about their interaction with students. It also offers a great opportunity for them to innovate their lesson plans. “The fact that students learn so much from the videos gives me more time to cover the topics I consider more difficult, and to go deeper,” said a Stanford professor who taught Cryptography. However, examination and assessment issues can put a brake on the development of web-based education. For example, some cautioned that cheating problems can compromise the chance of offering credit-bearing courses entirely online. Read this article from The New York Times to learn more. 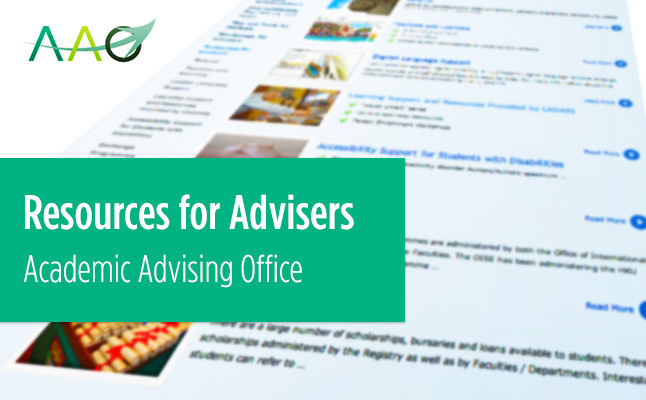 In view of the English language proficiency issues brought about by the impact of internationalization and widened participation across the higher education sector, the Australian education department has developed six standards for effective language support that would apply to all Australian universities. The standards are explained under the document “English Language Standards in Higher Education”, which also offers examples of good practice and brief explanations. In general, this national framework emphasizes the development of English language proficiency throughout students’ studies. “Language and academic support should be embedded within curricula, monitoring, evaluation and, if necessary, action to ensure that students maintain adequate English competence during and at the end of study,” said Alex Barthel, member of the steering committee which oversees this initiative. To download the document “English Language Standards in Higher Education”, please click here. To find out more about this framework, read this article written by Alex Barthel. As a result of a year of deliberation among academic leaders, the International Association of Universities (IAU) launched the document “Affirming Academic Values in Internationalization of Higher Education: A Call for Action” to draw attention to some possible negative consequences of the internationalization of higher education, such as diminishing the diversity of languages used to deliver higher education, and promoting the pursuit of prestige as measured by league tables. It also asks that institutions re-examine the process of internationalization around fundamental values and principles such as academic integrity, quality and equitable access. A conference on Havard’s new initiative for learning and teaching was held which featured demonstrations of innovative approaches to teaching. The conference, prompted by the growth of online and for-profit providers which seemed to have challenged classroom experience, and the fact that teaching on most college campuses had not changed much despite increasing awareness on how students learn, discussed the problems of traditional lecture and the misconceptions about teaching and learning of both students and faculty members. It also discussed the effective ways to improve learning, including assessment and writing.